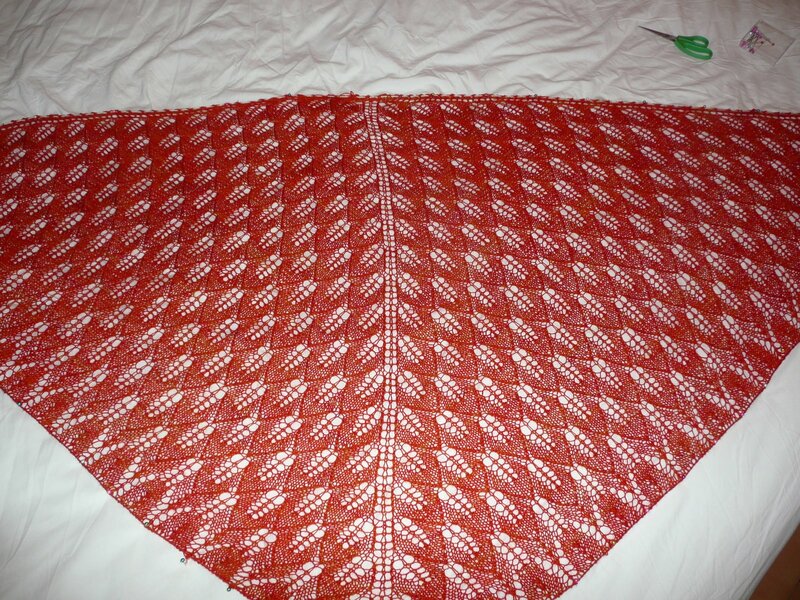 My Kiri shawl designed by Polly Outhwaite, knit in Wollmeise Lace Terra di Siena is finished! I joined in a knit along with a group on Ravelry, mainly to keep me focused and have a time line to work to. Also I felt it might be a good idea to have a little help on hand as it was my first lace shawl. I swatched on June 14th and desperately tried to understand the pattern, started to knit the shawl on the 15th and finished just a few minutes ago on the 15th July. Which means I am just in under the wire and have completed in time and its taken me one whole month of knitting. 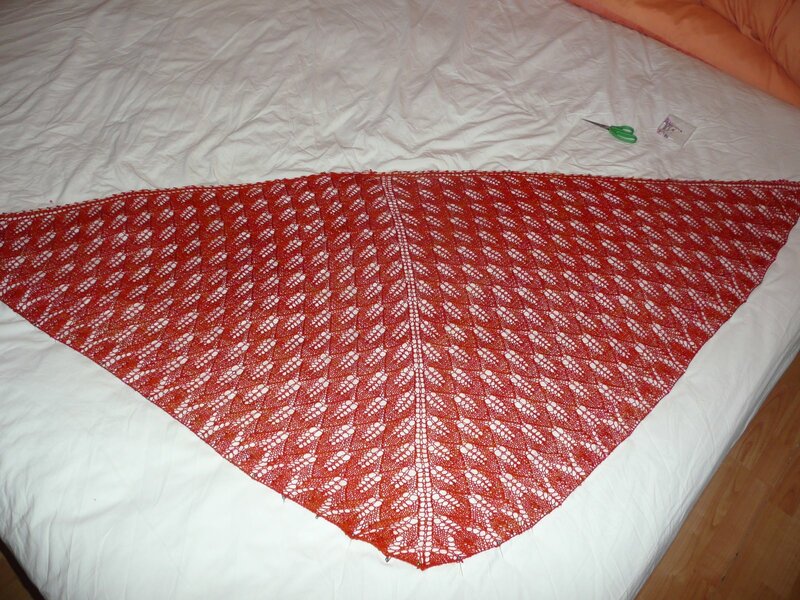 Before I go, the shawl is blocking on a 6ft bed – Diagonally! I had to stand on tip toes and take the photographs with my camera high above my head to get the shawl into shot. Lovely, now you have definetly caught the lace bug!